As we enter the 2018 Cancer full moon cycle, Souledout.org's Meditation Focus theme continues. On our annual journey having begun with Aries, we're continuing to explore the ongoing theme, Cosmic Freedom Inaugurates Planetary Liberation. Following the cycle's new moon on Wednesday, June 13 we join in the meditation focus shared here and on WeCycle Wisdom for contemplation over the month ahead. You're encouraged to work with this meditation channel throughout the lunar cycle surrounding the June 27-28 full moon in Cancer~Capricorn. Throughout the current lunar cycle surrounding the full moon during Cancer, we ask all in our subjective group, according to your inspiration, to utilize the materials presented here as seeds for the daily meditation ritual. In present time, each and every day we consciously aspire to evolve and raise our vibration. We invite all to participate as we continue through the annual cycle, to extend and embody our awareness of the zodiacal energies of the Lighted Way. During this year's spring festival cycle, we have attuned to the inflow of energies by way of the Spiritual Kingdom, and aligned with this focus. Now as we continue through the year, we endeavor to assimilate the new impressions as we also integrate them into our service in the world. A water sign, Cancer deals with emergence from the herd in order to take further responsibility in the One Life we all share. Our united efforts bring us ever closer to Humanity's Divine Destiny. Following the three major spiritual festivals, every person in the Holy Grail ~ the sacred Chalice, planet Earth’s Light Grid ~ participates in the annual distribution of the Life and in turn contributes to restoring the Divine Plan on Earth. The constellation Cancer is said to embody "The Light Within the Form" ~ the so-called, mysterious "dark light" of matter. The light of substance receives the stimulation of consciousness from the Soul in order for Divinity to manifest eventually in all realms and aspects of life. As this occurs, substance is informed with Spirit and is thereby redeemed to its highest Purpose, and we are impelled to participate in this most high Purpose ~ the Will of Deity. Creating the sacred form occurs as each of us is uniquely responsible for building our Lighted House and dwelling therein. In doing so, we are creating the forms in which the consciousness of Deity may manifest. The March equinox began our journey for the spiritual year, as we share now in yet a higher alignment to Purpose in our service for the annual cycle. The source of Path III, the Path of Training for Planetary Logoi, is given (in Alice Bailey's A Treatise on Cosmic Fire) as the star Begelgeuse by way of the sign Sagittarius. In that the sun projects the energy of Betelgeuse (at 28°53' Gemini) each year on and around the day of the June solstice, our perspective of this Path may develop further during Cancer, as well as during the month of the sign Sagittarius. The revealed quality of Synthesis relates largely to the Life aspect, that which enlivens all forms. Synthesis is. (2) This is so, according to the Essential Divinity of all life. Recognizing this truth, we are called to surrender ~ to be the Divine Path through the sacrifice of all that is extraneous. Becoming the Path itself refers to our construction of the connecting channel between the outer, concrete world and the inner planes of the abstract ideal (3), linking us to the larger, cosmic perspective. This is an outgrowth of the ongoing sacrifice we make in service to the One. We pursue the rituals that take care of our form, cooperating with the cycle, the ebb and flow of Life. We remember to breathe in, breathe out. During Cancer we may check in, in present time, and choose wisely, paying attention to the quality of energy that we are expressing. Also, we remember to develop what is fun in the life. All this has a ripple effect in the world. We express our truth with love and respect, and this inspires creative solutions and fosters peace. Each may ask, how sacred is my life? What is my service, how do I serve the One Life? We strive for consistency in our spiritual and physical plane practice. Approaching our spiritual practice in a rhythmic manner brings integration in support of the full expression of the Purpose of both the individual and group soul. Every person in the Holy Grail ~ the Sacred Chalice, planet Earth’s Light Grid ~ participates in the distribution of the Life and in turn we are collectively restoring the Divine Plan on Earth. Each one is uniquely responsible for this restoration. As the Life enters and flows through all individuals. Cancer relates to creation on the physical plane. Its ultimate result is the manifestation of the Kingdom of Heaven on Earth ~ the Sacred Form. The Life enters and flows through all individuals and into our world, and eventually this makes the whole planet sacred. The evolutionary path concerns the liberation of matter in alignment to Divine Purpose, and this requires the orientation to be maintained on the level of higher mind, or Soul. In doing so, we become increasingly conscious of the choices we make, where we put our energies and what we are manifesting. It is from this purified space that we now create, going forward according to the Secret of Creation. We embrace the vast significance of our relationship to Love ~ all the way from the atom to the infinite! Where the Earth becomes a magnetic center, a station of light, a point of great radiance and vitality, beaming out into the universe! meditation is 13:15, followed by an interlude, ending with The Great Invocation. We take the needed time to create a sacred space and spiritually align our energies. 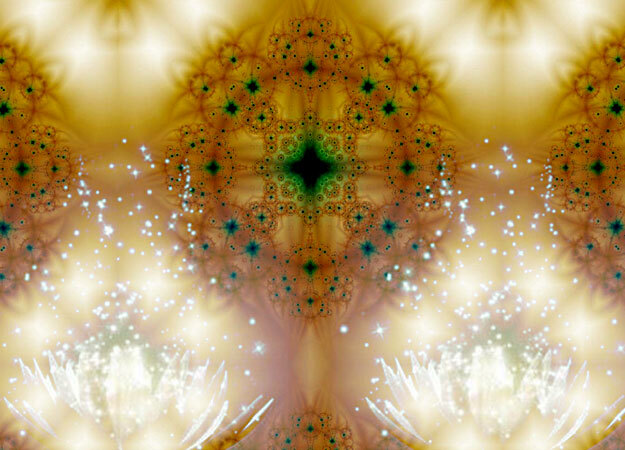 We now visualize and become the Chalice we have created together, as a grid of light all over the earth connecting the light of every lightworker and each sacred energy vortex. This network serves as a conduit through which the heavenly blessings may flow through every one of us and to the planet Earth. We rise as one, seeking the light. Spirit responds ... as the great gateway that is Cancer swings open wide, a stream of light flows all around and through us. We are the great Chalice ~ Humanity's collective expression of the Will-to-Good. Cancer provides us with the needed material. It is up to us to wisely select and build those forms that can be used in service to the Divine. We are awakening to the immense power of our collective consciousness for it is in Group that we are now aligned, for rebirth. In this sacred place and space, the Divine breathes Life into us. Spirit lives, the Soul awakens, and our form, built to follow Divine direction, comes more fully alive. Thus empowered, the Light of Divine Love is illumined within us. With this light we seek and find the Soul light at the center of all who await this great Spiritual awakening. We are becoming perfect instruments for Service. 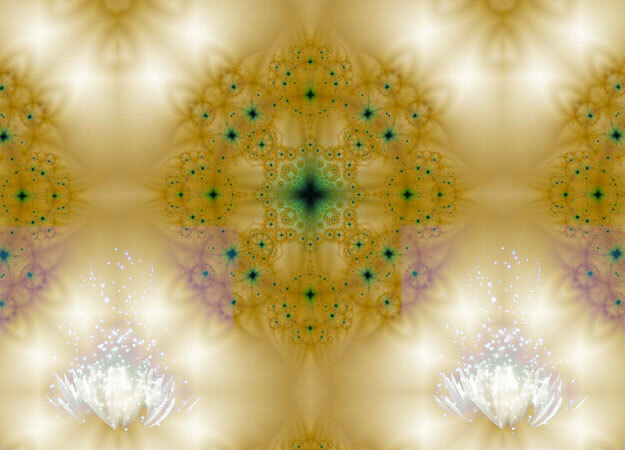 As we collectively hold this intent, our great meditative Chalice is transformed ~ it is the Lighted House. We now are creating a light like no other light. We shine forth throughout the universe so that all may find the Light. The path to our Divine Destiny lies ahead, all is illumined. We are the Light, we are ever more truly becoming the Way. Is Freely Given to Our Divine Goal. The New Law of Ancient Dominating Good This divine law is replacing the Ancient Law of Evil Sharing. (9) This law governs the Spiritual Kingdom and in time will also be fully revealed on planet earth. The Path of Higher Evolution "This subject is considered ... to be devoid of form and therefore incognisable to the lower concrete mind." (10). Hence, it is through the practice of cosmic identification that we may begin to understand the nature of Spirit, for to bring Spirit fully into our daily lives is service to the One. A Lighted House Commentary on the evolution of Cancer energies, Light Workers, and ashramic life. The Spirit of Sacrifice Sacrifice essentially means, to make holy. It is the hallmark of all world servers. Lunar Theme: In the Horns of the Bull "This June 13, 2018 New Moon occurs in late sidereal Taurus, in the Horns of the Bull ... the Horns ... invite us to discern the difference between causes of worthy pursuit verses those driven from antiquated motive, as well as a blend of both qualities—thus the need to discern whether tenacious perseverance is required or if it is time to simply let the struggle go ... There are several significant planetary transitions occurring in this lunar cycle ... " - Nick Fiorenza gives insights to this lunar cycle, which begins June 13, 12:43 pm PDT and ends July 12, 7:48 pm PDT. Participate and strengthen the Earth's Light Grid. Scroll the link to learn about the North's spring equinox. This day is linked to Sirius and its Principle of Freedom. Our physical Sun conjoins our spiritual Sun. Sirius disappears in the Sun's embrace. Additional links These readings may be of assistance in our Cancer meditation focus. If possible, we suggest being in meditation at the exact time of the full moon. For this meditation, and as each is able to join the world group at the time of the full moon (Wednesday, June 27 at 9:53 pm PDT ~ Thursday, June 28 at 04:53 UT), it is suggested to begin meditating earlier so as to be in deep meditation at the exact time, and then continue for as long as you feel compelled. We at SouledOut.org will align for this global meditation at the Cancer full moon festival. We also encourage utilizing SouledOut.org's Global Meditation in group formation at the exact time of the full moon, and whenever possible during this festival's safeguarding cycle. Consider what is the appropriate way to join in this meditation ... you may wish to participate in group formation on the physical plane as well as on the inner planes. Whether or not you choose to be "alone" on the horizontal plane, know you are uniting with many others who are also attuning to the energies available at this Global Festival, and that this unifed group focus creates a potent channel for the meditation to be potent and effective. Our Cancer-themed meditation focus beginning at the new moon leads into the two days of preparation immediately preceding the full moon. These are to be dedicated to spiritual reflection and detachment from everyday concerns, as each prepares to become a vessel for the energies of light and love they will channel and receive. During this time we hold the attitude of dedication and service, and assume that attitude of receptivity to that which our soul will impart, and which will make us of greater spiritual use. In the event one may not observe the exact moment when the moon is full, it's important to find some alternate quiet time to reflect alone or use this opportunity to meditate with others of like mind and focus. The two succeeding days are called the days of distribution. We now turn attention outwards, away from ourselves, and our efforts are to pass on the spiritual energies that have been contacted. We assist these Divine energies, transformed into goodwill, in flowing to wherever there is greatest need. As you wish, feel free to continue use of this meditation for the entire month of the Cancer full moon cycle. From new moon to new moon, beginning Thursday, June 14 through Thursday, July 12, 2018. Cancer Zodiacal Deity Cancer is the doorway into incarnation for human souls to gain the experience needed for our evolution. It is the focused energy of Cancer which makes it a major magnetic or attractive focal point leading to the processes of incarnation. Cancer Labor of Hercules Hercules's labor in Cancer was to capture the doe ~ that which is elusive and difficult to secure. Through this endeavor we learn there is no success until instinct is transmuted into intuition. Then instinct is subordinated to both intellect and intuition. Sirius Revealed Sirius, associated with freedom and liberation, is the brightest star in the night sky and at 8.6 light years away from Earth, is the closest major star to our own solar system. Each year close to July 4, America's Independence Day, our sun conjuncts Sirius at 14 degrees Cancer. Sirius is closely associated with Leo, and the Cancer cycle is preparatory to the powerful full moon next month in Leo, for which the Sirius energies are of significant influence. Cardinal Cross The secret of the Cardinal Cross is the secret of Life itself. (15)Through a study of the Cardinal Cross ~ Aries, Cancer, Libra, Capricorn ~ we can derive a clearer understanding of ordinary, individual, human beings, of group beginnings, and of the significance of the first initiation. One with The Divine When the Planetary Logos connects with the Solar Logos, Shamballa ~ or the Will of God ~ is their point of union. (16) We are called to connect with Them there, and in this way to embrace the Plan of Love and Light. Principles and Laws Certain universal Principles and Laws are applied through humanity and the other Kingdoms of Nature. The Lunar Messenger, Cancer Full Moon (PDF) Circle of Goodwill's commentary for the Cancer full moon, "Vistas of Wisdom 68: The Emotional Plane"